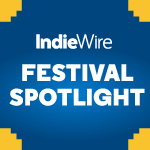 In its fifth year, the Frontières marketplace for international genre films is showing more influence than ever before. While the general moviegoing public never has to endure the hellacious experience of film marketplaces, most independent filmmakers and producers are all too familiar with the frustrating hustle of meetings with potential financiers and sales agents, all of which reduces their projects to simplistic taglines and demographics. Frontières, the international marketplace for genre films currently underway in Montreal, faces a different set of challenges. For example: Can you have too many zombie movies? At a time when many adventurous filmmakers are struggling to find the resources to get edgier projects off the ground, Frontières — which is an extension of the Fantasia International Film Festival, taking place at the same time – has provided a counterpoint. The range of genre films selected by Peters and her team to present to buyers, sales agents, and distributors over the course of a packed weekend include horror, sci-fi, thrillers, and numerous other outré efforts that in any other context might seem like a tough sell. 2017 was the first year in which that plan started to take effect, beginning in February, when Frontières teamed up with the Cannes market to host a financing and packaging forum in Amsterdam. The first edition featured 12 projects presented to 25 industry experts whose specialties included sales, finance, distribution, and publicity. “We lumped them all in a room for three days and strategized how to get these projects off the ground,” Peters said, singling out a proof-of-concept development lab that helped filmmakers refine the way they were pitching their ideas. The market’s growing profile also reflects clear evidence that genre audiences around the world eager for new movies. “Genre does really, really well on VOD and streaming platforms,” said Peters, noting that she often spots Fantasia alumni on Netflix, but the AMC-owned streaming platform Shudder has further honed in on that appeal. “It ensures that there’s a greater chance of these films finding an audience,” she said. Notably, this year’s 20 projects from Canada, the U.S., and Europe contain a blend of familiar names and unknowns. The most prominent project, George A. Romero’s “Road of the Dead,” was being developed by the legendary horror maestro up until his sudden death a week before Frontières (director Matt Birman will still attend). Another project, the supernatural haunting story “Bitter,” counts Taylor Hackford among its producers. There are also projects from regular faces on the genre scene, such as “The Restoration at Grayson Manor,” from filmmaker Glenn McQuaid (“I Sell the Dead”) and Larry Fessenden’s Glass Eye Pix. But there are also potential discoveries, such as the French-Belgian co-production “Nameless,” the story of a woman pursued by anonymous assailants wearing eerie white masks. The debut feature from Yannick Muller, it looks like a palpably intense thriller, at least judging by the (unsubtitled) promotional clip below. Other potential projects include the contagion thriller “The Cleaner,” the debut of Dutch filmmaker Jan van Gorkum, and Rick Spears’ debut “Black Bats,” which previously went through the Sundance Screenwriters Lab. Needless to say, the diversity of genre efforts in this year’s edition is almost secondary to a more attractive element to many of the industry people in attendance: They’re cheap. “It’s really easy to make a strong genre movie with a small budget, and that inspires a lot of creativity, and brings a lot of new talent,” Peters said. It also helps to manage expectations. Beyond the organic network that invariably takes place over the course of many happy hour events and the speed-dating of one-on-one meetings, this year’s Frontières also contains a panel on women directors, a buyers showcase for films in various stages of post-production, and a look at the way that Eurimage — Frontières’ biggest investor — has turned its support toward genre films. There are plenty of activities to keep filmmakers and industry types engaged throughout the weekend, but Peters still hopes to grow the market’s potential to support projects that pass through its door. Frontières runs July 20 – 23 in Montreal.